When I first introduced Scarlet to you in THIS POST, I mentioned leaning on her momma for insight. 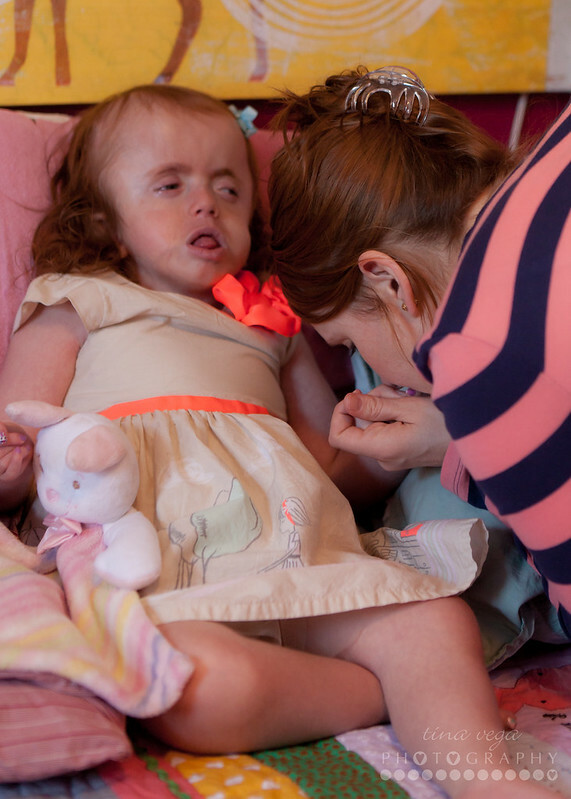 Scarlet is unable to communicate and I wanted learn all I could about this precious child in my short time there. I wanted to see Scarlet through the eyes and heart of her momma. And my heart melt a million times over when Jenny described Scarlet. She spoke of her sweet spirit and how it leaves a mark on the people around her. 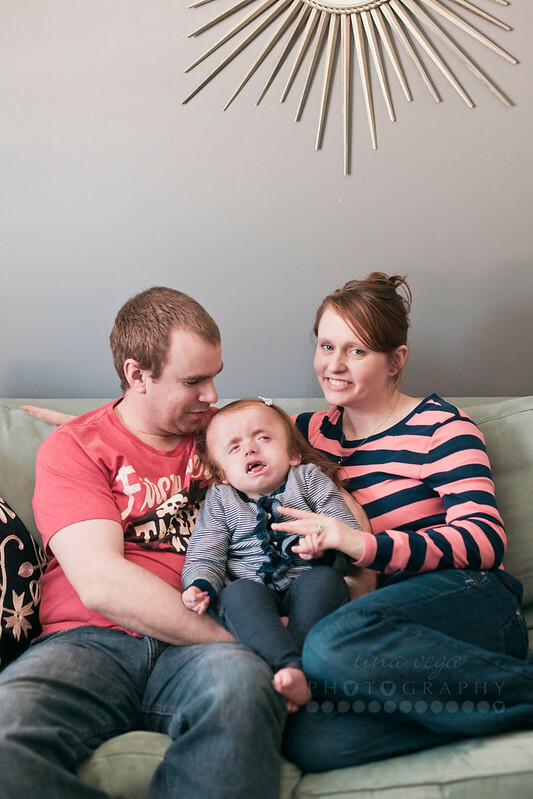 Scarlet is deaf and has a number of other limitations due to Schinzel Giedion syndrome. Touch is her strongest sense and as I watched mom and dad interact with Scarlet, I witnessed a tenderness that took my breath away. The Wagners have gone to great lengths to create an environment for their daughter that speaks of All Things Little Girl, not illness. Despite the medical equipment. Despite the extra care Scarlet requires. What they really want is a home suitable for Scarlet. To make the most of the time they have with her. There is a fundraiser taking place on June 2, 2013 at the Mediterranean Cruise Cafe in Burnsville, Minnesota. Donations can also be mailed to the Scarlet Amelie Wagner Benefit Fund, Wings Financial, 14985 Glazier Ave., Suite 100, Apple Valley, MN 55124 or given online by clicking HERE. 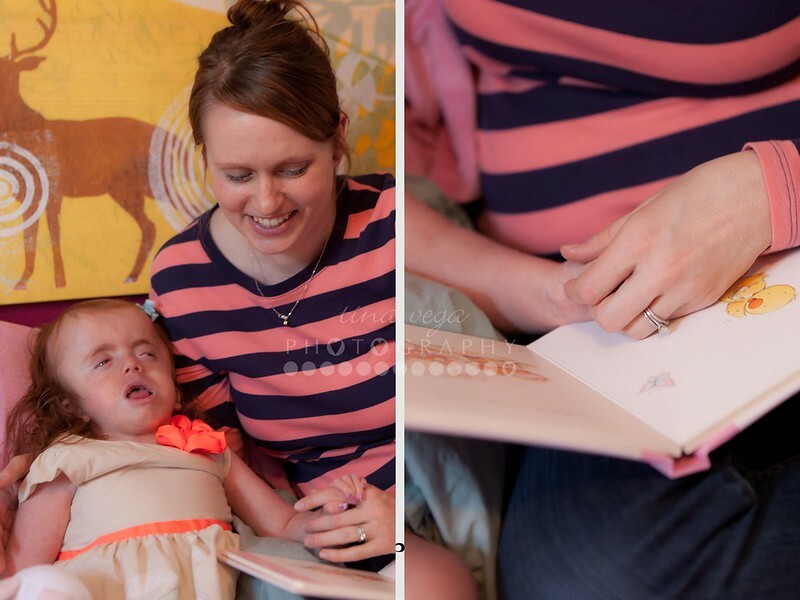 Before meeting Scarlet, Jenny told me there was something magical about her daughter. If you have been touched by this family’s story, please show them your love by making a donation. Magic indeed. When YOU capture life Tina, it is magic. You are a brilliant photographer. It is as if your camera is a portal through which you can glimpse the beauty of love and life. I think you got our very souls on film. It is sometimes hard to see from the inside, day to day, the joy we are surrounded with. I was even surprised by our pure happiness… It brought more than a few tears to my eye. Scarlet has never looked more beautiful in a picture. Thank you so much for everything. We are so blessed to have met you and to know you. Our photographer for LIFE. I was caught up in a whirlwind last week and didn’t really have a chance to respond properly to your comment on my blog. What you said was so beautiful – you put into words so eloquently what I strive to capture… which is so much more than a simple photograph. It blesses me MUCH to know how the images made you feel. Thank you, thank you, thank you!! Too, I love hearing you say you were suprised by your pure happiness – sometimes it takes another perspective to help us see things that have been right in front of us the whole time. 🙂 I have enjoyed getting to know your family, Jenny, and pray you will be blessed beyond measure!! !